The Council has published the documents for its 2019 maintenance contract and is inviting quotations to be received by 5pm on Friday 29th March. The main elements of the contract are cutting the grass verges along the roads in the parish and cutting the grass in the burial ground. For this reason the Council seeks a contractor with experience of maintaining burial grounds and/or churchyards. 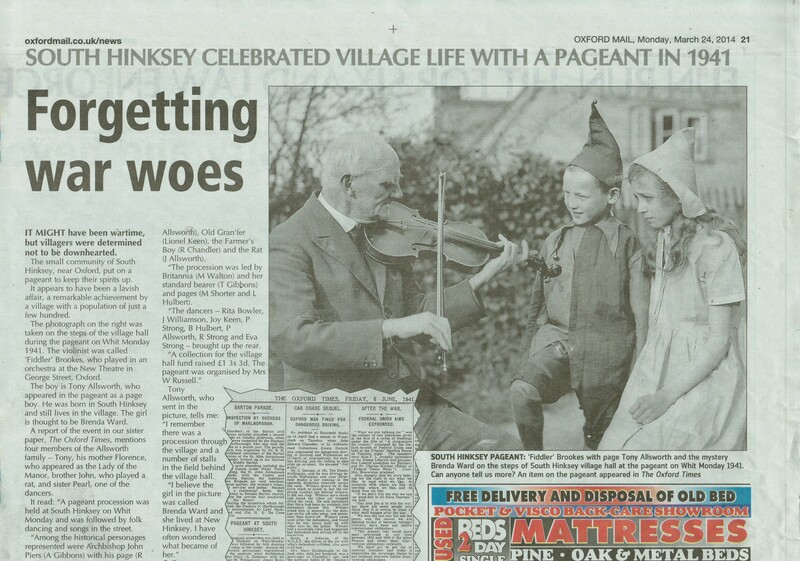 Any organisation wishing to receive a set of the documents should contact the Parish Clerk, parishcouncil@southhinksey.org. The Planning application to deliver the Flood Alleviation Scheme will be considered by the County Council shortly. The opportunity for public comment ends on the 22 January. The comments that have been sent by the Parish Council can be viewed here. These relate only to the operation of the works should the scheme receive planning permission. You are able to read the Parish Council’s views in the document but the Parish Council wants to take this opportunity to talk through the comments with you, hear your views on the operation of the scheme and encourage you to make your own comments. – What can you do. This is an important issue for the Village in particular, one that will have a significant effect on our lives for 4 years or more. The Parish Council encourages you all to attend and make your views known. Unlike other parts of the county, South Oxfordshire & Vale of White Horse District Councils are not having an election on 3 May 2018 so do not worry if you have not received a voting card or postal vote. Please see more detail here. 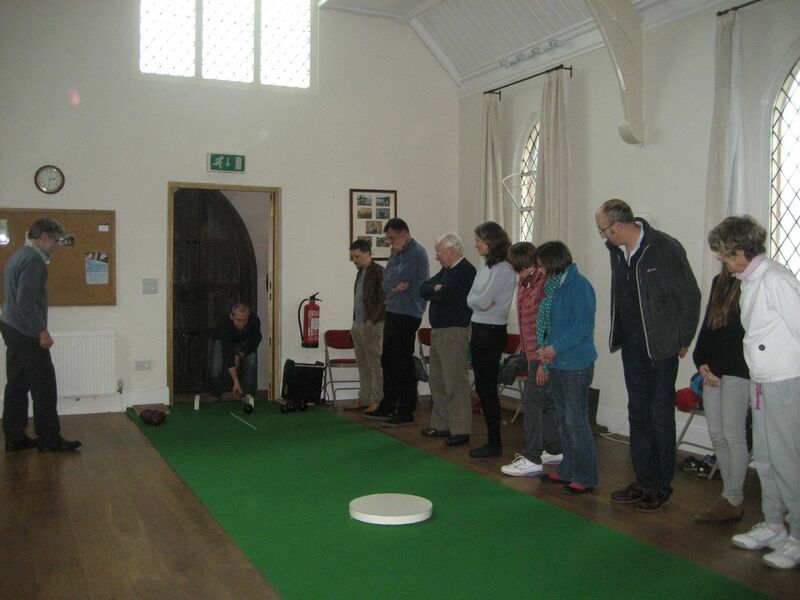 Mick Watkins of the English Carpet Bowls Association came from Suffolk today to introduce a keen group of parishioners to indoor “carpet” bowls in the Village Hall. 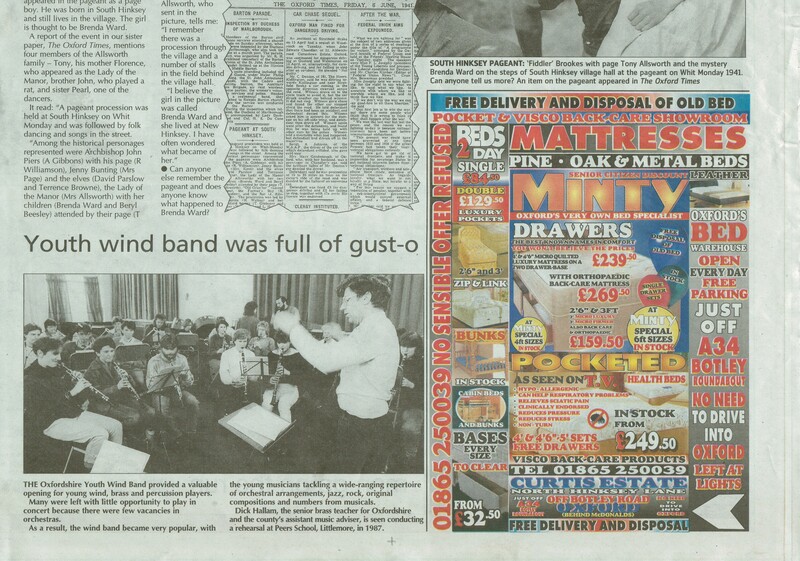 Over twenty people came along, including children. After a demonstration of how it should be done, we all had a go, with varying degrees of success! Everyone enjoyed a really fun afternoon and we are now going to set up a Bowls Club. Many thanks to Mick for making it so enjoyable, if not exactly easy! 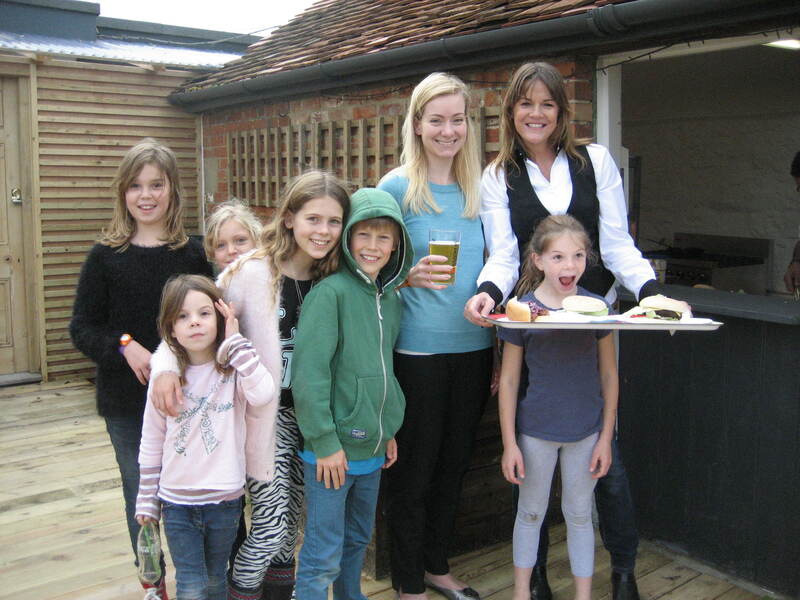 Nicola Blackwood, MP (L), Helen Hazlewood, Landlady (R) and children from the village enjoying beer and a barbecue at the re-opening of the General Eliott. This year Sunday 5 October sees our annual thanksgiving for the harvest, our 9.15am Eucharist at St Laurence on that Sunday will have all the traditional hymns as well as harvest decorations. We will also have as our preacher the Archdeacon of Oxford Fr Martin Gorrick. Later in the morning following the 10.30am service in St John’s New Hinksey the harvest lunch will follow. This will be a wonderful curry cooked by the Singh family. If you would like to come to the lunch let us know. In church we use many words for the service often called Holy Communion. Eucharist is one such word which comes from the Greek word for thanksgiving, we offer back to the Lord bread and wine in the spirit of thankfulness and the Lord returns to us his Son Jesus Christ. During harvest time we traditionally think of the products from the land, but it is also a time to give thanks for all the things that sustain us. This year we will be keeping our annual service to remember the departed on Saturday 1 November at 11.00am. There will be a Eucharist in church followed by the blessing of graves in the churchyard and burial ground. Please feel free to come to the service, or simply join us for the blessing of the graves at around 11.45am. During the service you will have the opportunity for your departed loved ones to be remembered by name and to light a candle for them. You may also like to decorate the graves you are associated with. 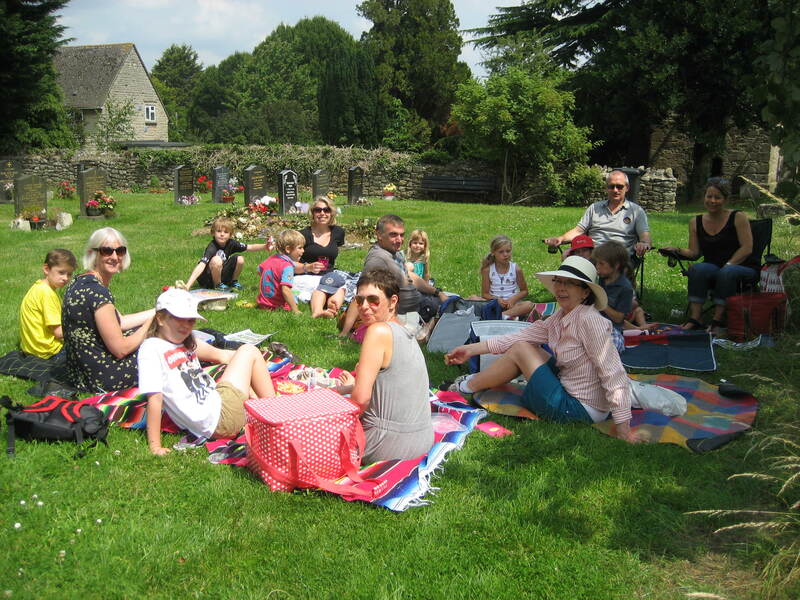 Over 20 people enjoyed a sunny picnic and children hunted for wildflowers in the meadow. The Village Hall has undergone considerable repair, refurbishment and redecoration over the past few months. A major element was that the frame of the large window over the door of the Chapel was rotten and in danger of coming away, so has been removed and replaced with an entirely new frame, but incorporating as much of the original glass as possible. Where new glass was needed new panes were made by traditional methods to match as closely as possible (which it does very closely indeed). Smaller repairs have been done to the other original windows and their frames in the Hall. This work cost £10,932, funded with the help of a generous grant of £4,730 from the Vale of White Horse District Council, for which we are very grateful, the remainder coming from our own reserves. We also benefited greatly from a grant of £1750 from Bob Johnston’s County Councillor Community Budget, thank you. This allowed us to use the opportunity of the main window replacement to raise and reform the false ceiling in the area around this window. Not only has this restored it to its original glory and much improved the appearance, but it also lets in much more light. This grant also made a significant contribution towards the new lighting described below. An energy audit has been carried out by a team from Oxford Brookes University and we are acting on the recommendations. We received a £500 grant towards the £600 cost of this audit from Trust for Oxfordshire’s Environment and again we are very grateful for this generous assistance. New lighting, using LEDs in place of old style bulbs, and lowering the fittings so they can now be reached from a ladder (whereas before we had to hire a platform scaffold to change a bulb!) should be installed by the end of this month. Numerous smaller works have been carried out. The under-floor central heating has been recommissioned and now works well. Redecoration of the main hall is almost complete.